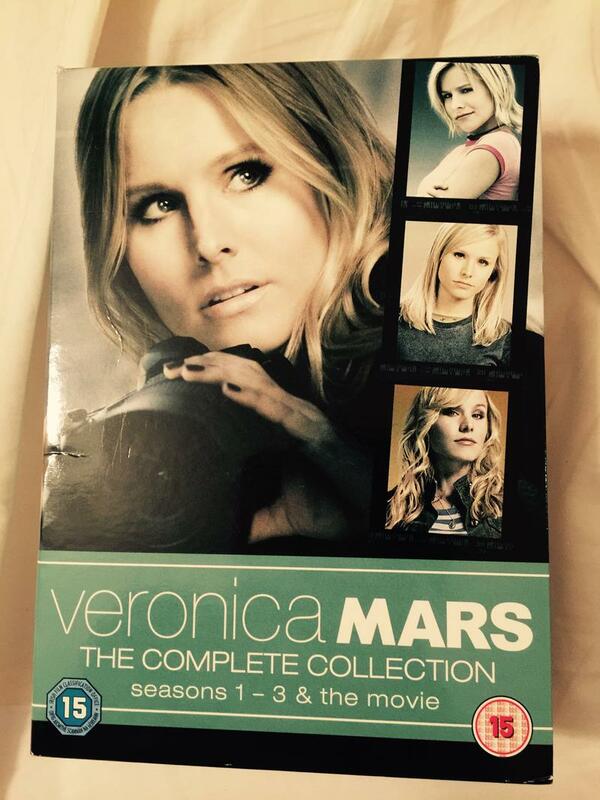 While in HMV the other day, my eye fell upon this lovely boxset: Veronica Mars The Complete Collection, and it includes the Veronica Mars movie. I have a real soft spot for Veronica Mars. Most people don’t know this, but when I write a book, I usually have a series/boxset that accompanies said book. Veronica Mars was that series way back in 2009 when I was writing The Ice Cream Girls. Veronica is a high school girl with a private eye for a dad who does a spot of private eyeing on the side at her school, all the while trying to solve the mystery of who killed her best friend. Some old favourites including Charisma Carpenter (Cordelia from Buffy) and Alyson Hannigan (Willow in Buffy) showed up as did Harry Hamlin (LA Law). They had some cracking episodes and the overarching storyline was brilliant. Wasn’t sure about the movie, but I’m hoping they’ll make a second one which’ll fill in all the holes the first movie opened up. I’ll be firing up the DVD player to relive the summer of 2009 while I’m ‘between books’.